I understand that successfully adapting Jane Austen's Pride and Prejudice with a modern setting is a tall order. You can recycle the basics of the romantic plot—arrogant man, spirited woman, misunderstandings, self-discovery—pretty easily, but most of the book's nuance doesn't translate. (The stakes are not the same when Elizabeth has the option of ditching her family and getting a job.) But these adaptations keep appearing, and I keep reading them, because I can't help myself. 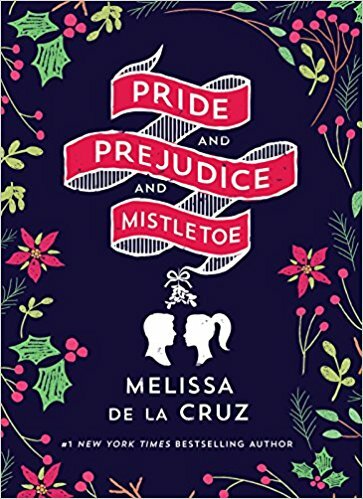 Melissa de la Cruz's Pride and Prejudice and Mistletoe is a modern-day, gender-swapped, Christmas-themed retelling of Pride and Prejudice. The story centers around Darcy Fitzwilliam, a 29-year-old hedge fund manager who has, after several years away, reluctantly returned home to Pemberley, Ohio, for the holidays. While counting down the days until she can return to her high-powered life in New York, she reconnects with Luke Bennet, the bane of her high school existence and a small-town carpenter who seems to have a chip on his shoulder when it comes to big-city girls. Even by my low Austen-adaptation standards, Pride and Prejudice and Mistletoe is terrible. Setting aside the (considerable) problems with the plot and characterization, the font is large, the book is short, and the text is full of redundancies like “increasingly farther and farther”. With a normal-sized font and some judicious editing, this sucker could have been pared down to 150 pages, tops. Those aren't the story's biggest problems, however: this is Pride and Prejudice as a C-grade Lifetime holiday movie, only vastly dumber and sprinkled with bizarre details. (Darcy really loves Ayn Rand, for example, which seems like a critical misreading of the character.) The protagonists only bear superficial resemblances to their inspirations. The social context is completely absent. The author doesn't even steal very well—The Lizzie Bennet Diaries is much closer parallel to Austen's book. I usually think of stories like these as being aimed at Austen superfans, but in this case the opposite is true: Pride and Prejudice and Mistletoe is most likely to be enjoyed by people who either disliked or misunderstood the original novel.